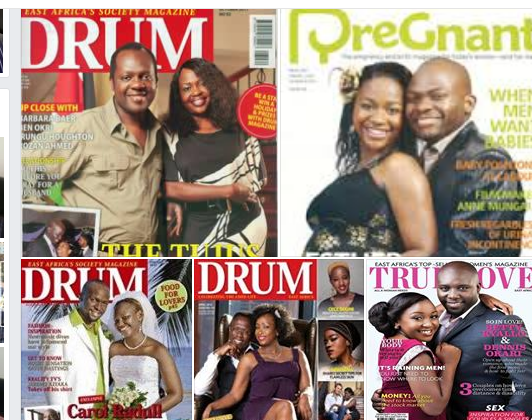 The PR of Marriage: "Love" and "happiness" on glossy magazine covers. The "cover story" is often farfetched, so that difficult relationships are deceivingly described as flawless, without imperfections. Unless life and income depends on it like say, Kim Kardashian, excessive media intrusion into the privacy of marriage is dangerous. More so for the newly wed. If you are recently back from your honeymoon, shut up and settle down. The vows are for a lifetime, subject to commitment. The sometimes difficult but pleasant journey has just begun. Your relationship is like newly poured concrete. Give it time to cure. Nourish your new marriage without ceasing. You cannot be the poster child of a "good marriage" three months after your wedding. If you are married for less than two weeks you cannot be the encyclopedia or repository of marital advice. Marriage is practice, not theory. Reality not fiction. A good marriage is not determined by how big the cake was, how far the exotic honeymoon location was or how society media went all out in coverage. Not even by the amount of flowers, with fancy names imported all the way from Antarctica. Marriage is not an event. It is not the engagement, big wedding or honeymoon in lost paradise. Unfortunately, it is not even the pregnancy. A good marriage is a function of TIME, TRUST, COMPROMISE, FORGIVENESS and COMMITMENT. Just like concrete, properly cured marriages have adequate amounts of strength, stability. 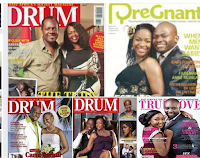 Equally, if you are in a long term relationship//marriage that is suffering a period of turmoil or symptoms thereof, as is occasionally the tradition in human relations, avoid the embarrassment of magazine covers. Work on the marriage or relationship to resolve. Unless you are living for the camera, a marriage or relationship is not a consumer brand that can be cured by occasional doses of PR in glossy media. A good marriage is largely a private affair between two people. What happens in the privacy of relationship is exceedingly IMPORTANT than what is presented as the "love story" to the public. If you love your spouse, spend more time telling him or her not the general public. Public opinion is secondary. What the public thinks about "how you are in love" is not really important. It is being in love and committed to your spouse that is important. Your primary concern should be what your spouse really thinks about your relationship and not how the public perceives your union. You are neither dating nor married to the public. Your relationship is not in the race for a "Superbrand" endorsement. The public can only serve as record keepers, waiting for the opportune time to ridicule, should your marriage or relationship falter.